I was lucky enough to meet the charming Libba Bray who presented the festival closing with fellow author David Levithan. I asked Ms. Bray the all-important question: When will we get the next installment of the Diviners Series?! Libba reassured me that although events will keep her busy through November, she’ll start working on Diviners book three after the holidays. We can’t wait for the follow-up to Lair of Dreams! If you’re a Texas native or just looking for a reason to visit Austin, TTBF should definitely be added to your schedule. We can’t wait to see what’s on the agenda for 2016! 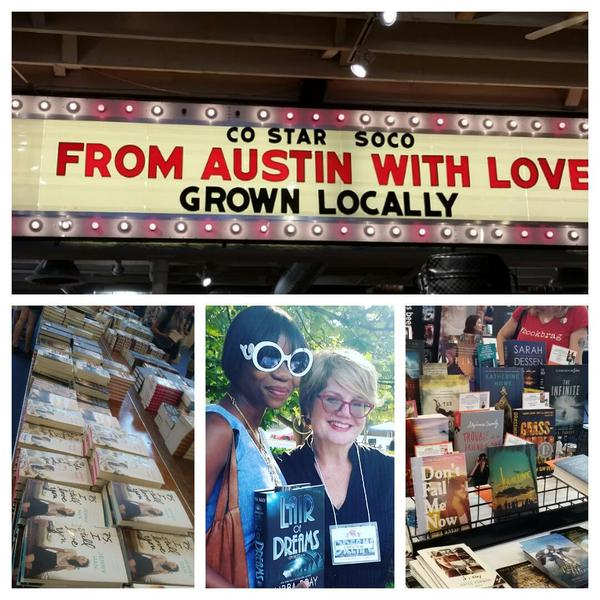 Want to check out more fun images from #TTBF2015? Click here.